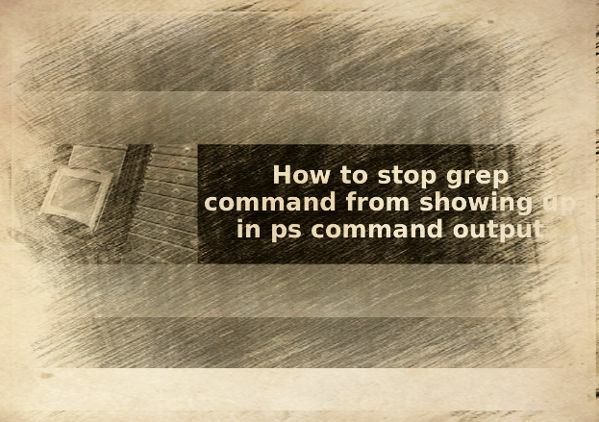 grep command is the de facto tool for searching text files. However when there are too many matches, it can be difficult to find the requested text in the search results. grep comes with –color=’auto’ option. It surrounds the matching string with the colour, thus resulting enhanced output. Save and close the file. Please note that –color option works with many GNU text utilities, so feel free to use the same. Look like node10’s mutt command generated segfault error while sending daily reports attachment via email. 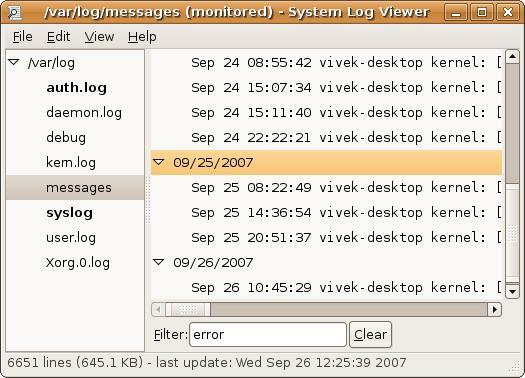 System Log Viewer is a graphical, menu-driven viewer that you can use to view and monitor your system logs. System Log Viewer comes with a few functions that can help you manage your logs, including a calendar, log monitor and log statistics display. Debian / Ubuntu Linux also offers GUI tool to view and search log files by setting filters. Click on Applications menu > Choose System Tools > Admin > System Log. I have already written a shell script to check/monitor domain renew / expiration date here. Now I have modified matty’s domain-check script to support additional C/TLDs .in, .biz, .org and .info domains. I’ve also added 5 seconds delay to avoid whois server rejecting the query. This script checks to see if a domain has expired. It can be run in interactive and batch mode and provides facilities to alarm if a domain is about to expire in advance.